Donning cartoon prints may feel extremely childish and out of style but what you don’t know in fact, is that this quirky trend is one of the most sought after trends among the fashion fraternity. 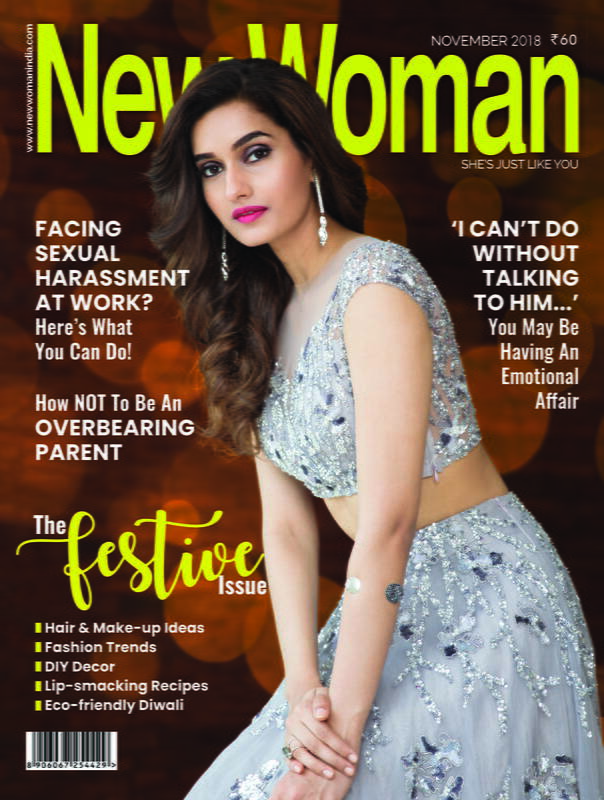 It goes without saying that you won’t find fashionistas wearing such garments at social functions and gatherings but they definitely resort to them for a casual look. However, how is it possible to wear cartoon-printed clothes without looking like a kid? 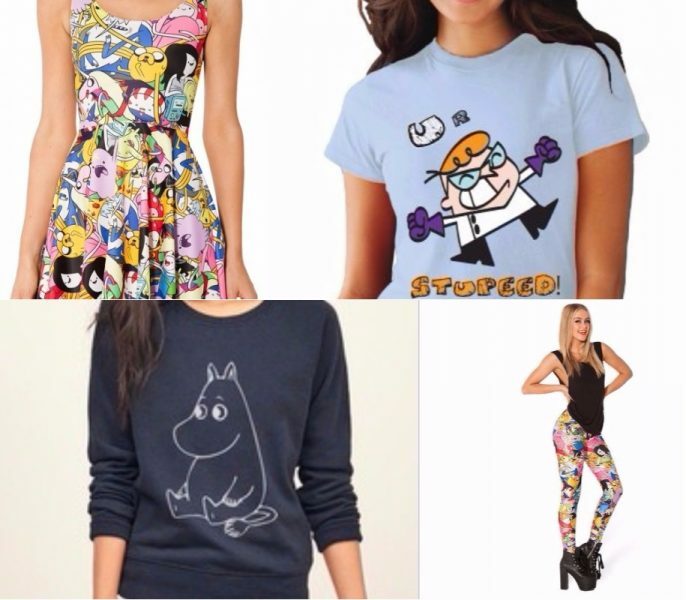 Here are a few ways to incorporate cartoon prints on the days your fashion senses go dormant. What can be simpler than hopping into a pair of colourful cartoon leggings? May they be our favourite Tom and Jerry or the Spinach-man Popeye, these characters always lend a kind of effervescence to your attire. Pair your leggings with a plain top and you are good to go! Never pair prints with prints. If you are wearing a printed top, opt for plain pants or a plain skirt and vice-versa. A loose t-shirt is the most comfortable thing to wear and transform it into a flaunt-worthy garment at the same time. How? Well, it’s simple. Choose bright tees with cartoon prints on them. These don’t necessarily have to be your conventional cartoon characters shown on television. It can be a graphic printed t-shirt filled with various animated figures. Not only does this make dressing up more fun but also less time-consuming. 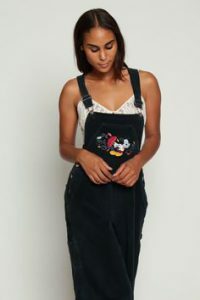 Not everyone gravitates towards dungarees. They have always been clothing that made their way to a marginal number of wardrobes. It’s time to do something about that lag. Infuse an unconventional edge to your outfit by going for cartoon prints accompanied by quotes. This will refrain you from looking too naïve and the outfit too childlike. Nonetheless, it will present a degree of youthfulness to your persona and that is a good thing, isn’t it? Dresses are a type of clothing that makes a woman look instantly stylish and chic. Among the panoply of dresses available at stores, cartoon prints are rare. But, if and when you do stumble across one, you should definitely give it a shot. There is no reason to shy away from something that you haven’t tried. Wear them for a lunch date or a day out at the mall. You’d look absolutely edgy. 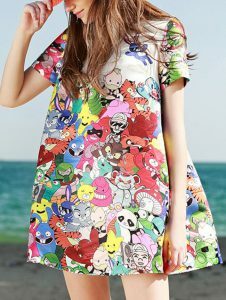 An abundance of cartoon-printed dresses are available for sale at street shops and boutiques where the prices are much lower than at branded stores. Blazer, a fail-safe option to amp-up your attire lives upto its name even when alternated with a dash of eccentricity. Flaunt a vibrant yet dorky jacket with specs of glitter beneath which, it would be absolutely okay to wear plain clothes. This blazer is self-sufficient to quirk up your look and make you look chic and stylish. What’s more? You could even wear it to pubs and parties with your friends and your outfit would undoubtedly stand out among all. Accessorizing your outfit with minimal jewelry like funky earrings and a chain would suffice to make you look like a diva! So, go ahead! What are you waiting for? Invest your money into a few animated fashion necessities and plunge into a ride of panache that is different from the others. A simple cartoon-printed jacket or a hoodie would be enough to seal the deal. Make a style statement even in your day-to-day look! It not as daunting as it seems to be.